Kegco has designed the Z163B-2 Dual Faucet Kegerator to be durable enough to withstand the demands of commercial use, yet quiet and energy efficient enough to make a great addition to residential environments. The freestanding keg dispenser has a beautiful all-black exterior that will look great with any decor. 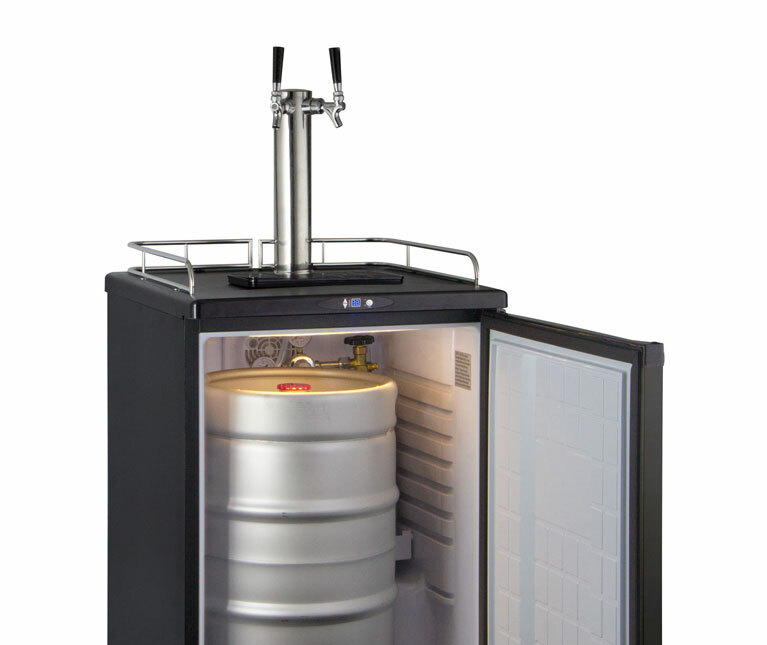 The Z163B-2 boasts the same exciting features that you've come to expect in Kegco beer refrigerators, including a removable built-in drip tray that catches drips and spills, a chrome guard rail that prevents glasses from sliding off the countertop, and easy-rolling casters that provide convenient mobility. 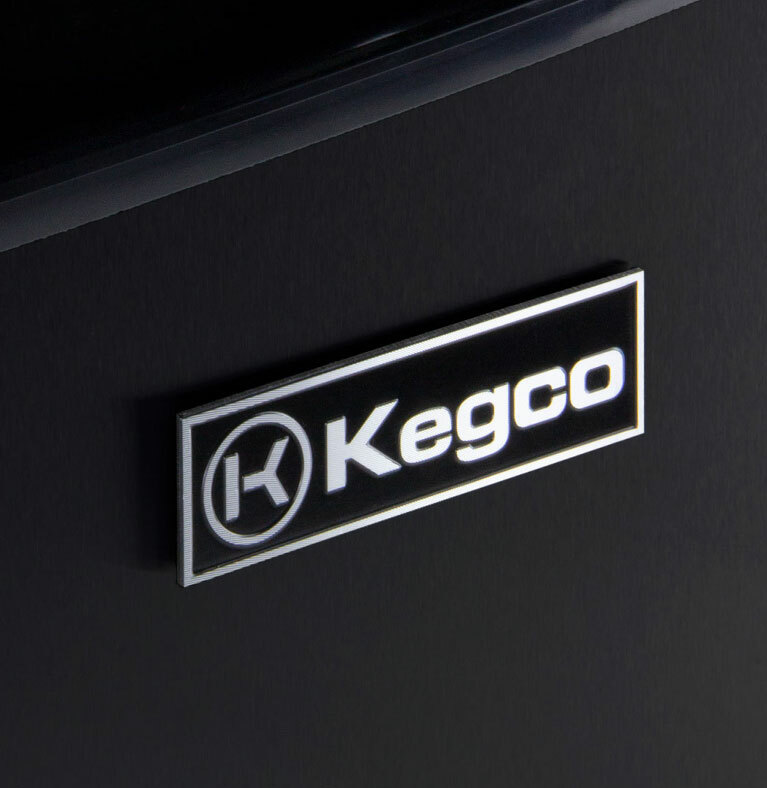 Inside, the keg cooler offers an impressive 5.8 cu.ft. of storage space that can accommodate one full size, pony, or quarter slim keg, two 5 gallon commercial kegs, three ball lock kegs, or two pin lock kegs. This generous storage capacity allows you to dispense from two different 5 gallon kegs at the same time. A steel interior floor mat on the bottom of the keg refrigerator evenly distributes the weight of your kegs to help ensure long-lasting durability. 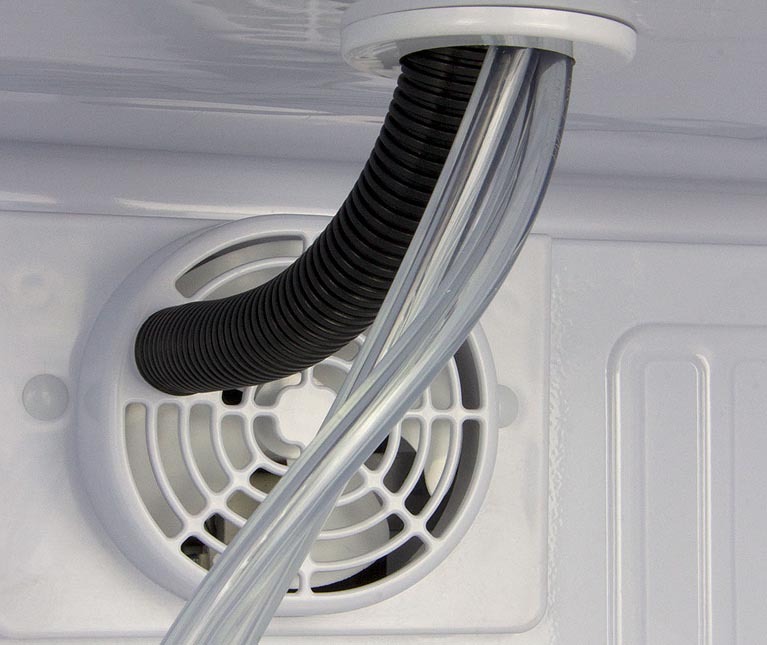 Three wire storage shelves have been included to give you the option to use the unit as a regular all-refrigerator when you're done storing and dispensing kegs. Thanks to intuitive digital controls, a clear LED display, and one of the widest temperature ranges of any kegerator on the market, it is easy to store your kegs at their ideal temperature between 32 and 75 degrees Fahrenheit. Fan-forced cooling evenly distributes cold air throughout the cabinet to ensure a superior refrigerated storage environment. Cold air is also directed into the draft tower to keep your beer perfectly chilled all the way from the keg to your glass. The kegerator also utilizes automatic defrost for added convenience. 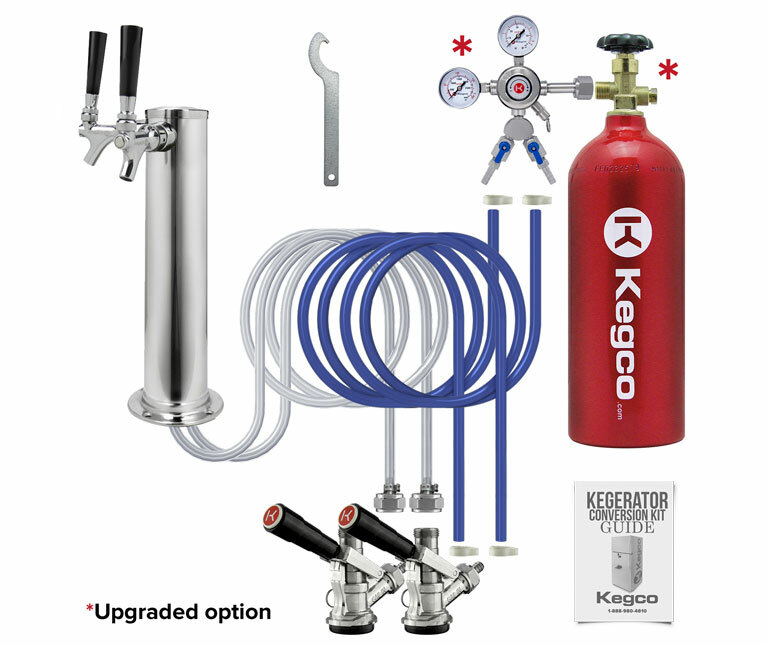 Kegco has included a complete keg tapping kit with this Z163B-2 beer fridge to take the guesswork out of keg dispensing. The dual tap draft dispense system comes with a dual faucet stainless steel draft tower, two chrome faucets, an empty 5 lb. CO2 tank, a double gauge CO2 regulator, and two D system keg couplers.